The scandal directly touches very few people. 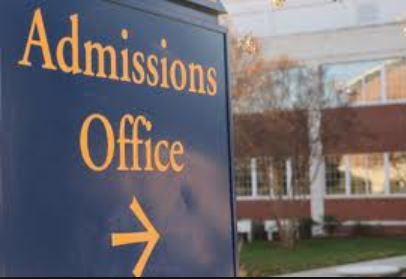 The so-called “elite” colleges are few in number and capacity limited. Realistically, these school’s aren’t in most family’s and student’s decision set. They’re expensive, academically challenging and insanely competitive. Bottom line: Whether Lori Loughlin’s daughters get into an elite college has zero impact on the overwhelmingly vast majority of student applicants. One of them probably bumped you, not Lori’s daughter. Taken together, all the people directly impacted by the cheaters probably wouldn’t fill a 747. 3. Graduates’ readiness: For example, employers say that 9 of 10 college grads are poorly prepared when entering the workforce. The latter point raises the question of whether students are being taught (and learning) the “right stuff in college these days. This entry was posted on March 25, 2019 at 6:59 am and is filed under College Admissions, Core study requirements, Education - Academics. You can follow any responses to this entry through the RSS 2.0 feed. You can leave a response, or trackback from your own site. My guess is people are primarily upset that there are wealthy people who are herring their children into these schools without either going there themselves or simply finding a cheaper way in than paying for a $10-$15 million dollar building.